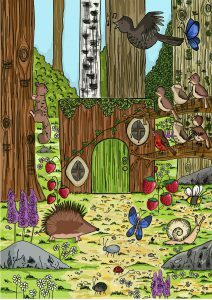 The marvellous month of May has arrived in Whimsy Wood, along with the delightful dawn chorus of course! Fearne Fairy is woken early by this twittering bunch of birds and so she decides to surprise her best friend, Mustard the Magpie Moth Caterpillar, with his favourite breakfast of scrambled ant eggs. 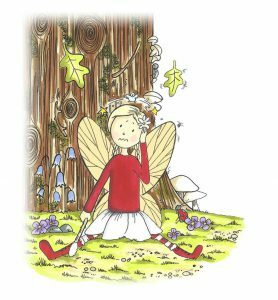 Now, if you're familiar with Fearne Fairy, you'll know that she's a fairy with flaws and you'll be accustomed to her crash landing on a regular basis! On returning to her tree stump house from The Woodland Store where she went to get the ant eggs, you won't be surprised to learn that she crash lands yet again into her front door! Since Fearne has had a number of accidents on landing in the past, Mustard decides it's about time that she learnt how to land properly! For the sake of her sore knees and elbows if nothing else! But who will they ask to teach Fearne how to land and will they be able to find them in the enchanting Whimsy Wood? 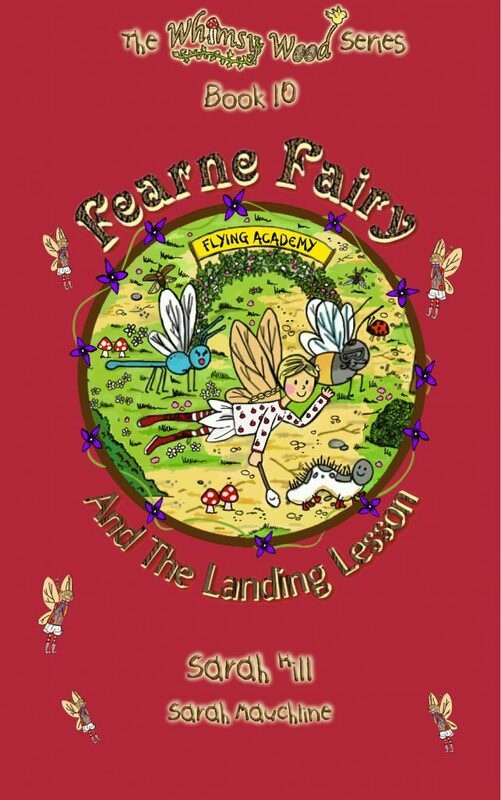 Well, you'll just have to read 'Fearne Fairy And The Landing Lesson' to find out! "TWEET TWEET , CHIRP CHIRP , TWEET TWEET!" sang Whimsy Wood's dawn chorus, bright and early one May morning. "Why oh why, do they have to do that? It's still night time surely?!" groaned Fearne Fairy as she shoved her head under the petal pillow and tried to go back to sleep in her hazel leaf hammock. "CHIRP CHIRP, TWEET TWEET, CHIRP CHIRP!" the dawn chorus happily continued. "This is hopeless! How can I possibly sleep through all that twittering?!" grumbled Fearne as she rubbed her bleary eyes, stretched her fairy wings and swung herself out of her hammock. Outside Fearne's tree stump house, Winona Wren, Ruby Robin and Norah Nightingale were indeed singing their little hearts out, along with the rest of the dawn chorus crew. It had become a tradition in Whimsy Wood that every morning during the marvellous month of May, the woodland folk were treated to this splendid singing performance! "Imaginations are sure to soar as young readers envision the enchanting world of Whimsy Wood and all its delightful woodland folk." "A gorgeous book glowing with fun, magic and charm." "This book gave me great dreams! I loved it!" "All of the characters had brilliant names, especially 'Mustard the Magpie Moth Caterpillar'! This is a marvellous book for all ages." 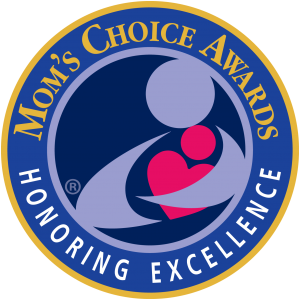 The Mom's Choice Awards Honoring Excellence Seal given to 'Fearne Fairy And The Landing Lesson' in January 2017!